A 3D printer maker is giving away machines to schools that generate the most votes online in a new contest. 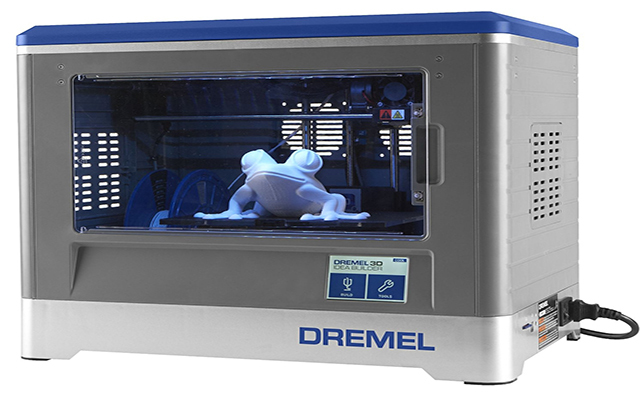 Dremel, better known for its saws and rotary tools, also produces the Dremel 3D Idea Builder, which can print plastic objects up to 10 inches by 6 inches by 6.7 inches. In the giveaway the company has invited teachers to enter to win their own printers by submitting a "photo of a model, sketch or CAD design" of something they would like to print and a short description of how the printer would make a positive impact. According to Dremel, winners will be determined by public voting. Up to 50 schools that get the most online votes will win two Dremel Idea Builder 3D20 printers, valued at about $2,000. Submissions are being accepted until 11:59 p.m. central time on Dec. 19, 2016. Voting will take place immediately afterwards and be open until midnight central time on Dec. 26, 2016. The application form is on the #LearnMakeGive site here.